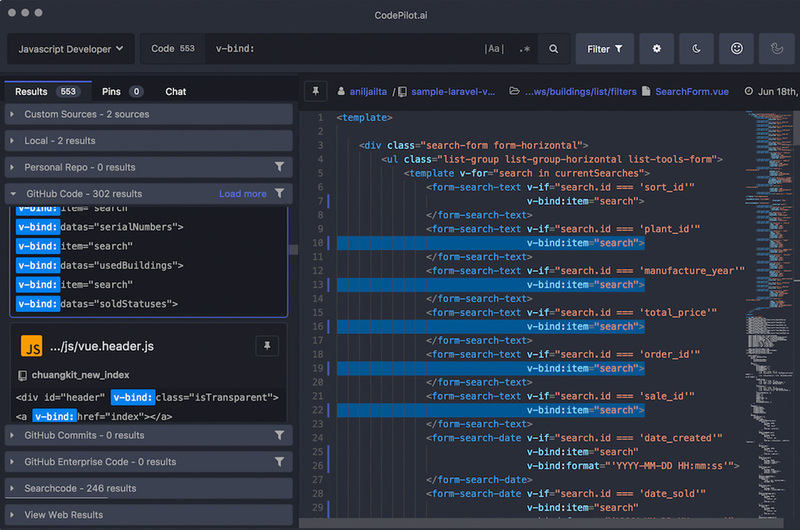 "We exist to make code search awesome. 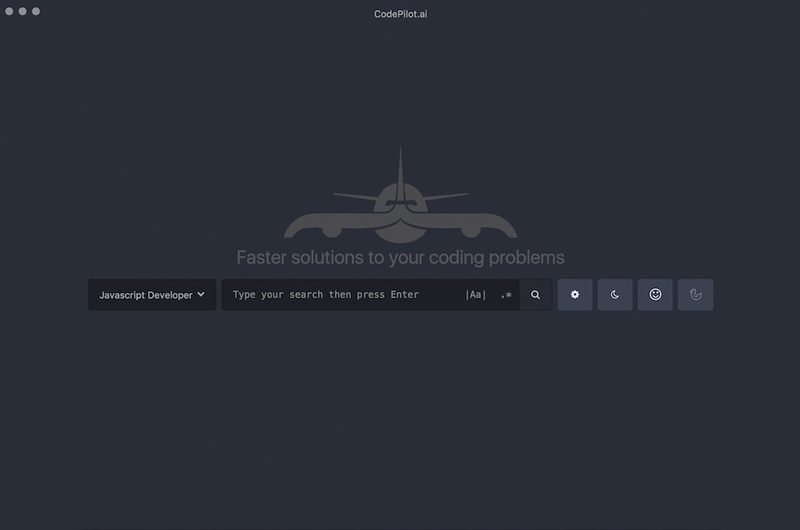 CodePilot.ai is a free desktop application designed to be the best code search experience possible. 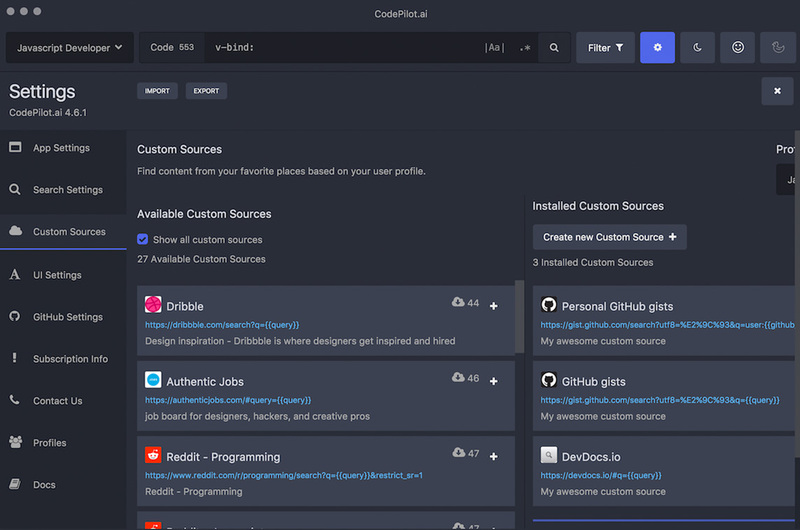 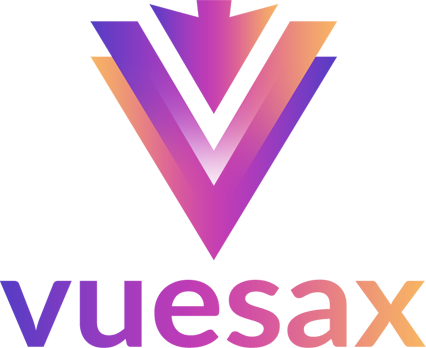 We use Electron to deliver a seamless multi-platform experience, we use Vue.js to make it beautiful, and we use a myriad of other tools to get the details right."